The dense jungles of Vietnam is where Thomas Johnson, 80, a retired United States Army soldier, learned his definition of survival. Throughout his 21-year career with the military, Johnson was deployed twice to Vietnam, in 1968 and 1970. During his combat service, he survived enemy ambushes, crawled through muddy terrains covered with Agent Orange and escorted the remains of two of his closest friends back to the United States for burial. When the war was over, Johnson returned home and worked in various military roles before retiring from the Army at the Pentagon in 1981. After a career dedicated to defending America, Johnson could not have foreseen that he was about to engage in another battle against a more insidious enemy – cancer. Between 1962 and 1971, the United States Air Force sprayed millions of gallons of herbicides and defoliant chemicals, like Agent Orange, in Vietnam to destroy crops and clear the jungles that made combat difficult. A 2013 study conducted at the Portland VA Medical Center and Oregon Health and Science University found that Veterans exposed to Agent Orange are not only at higher risk for prostate cancer, but they are more likely to have aggressive forms of the disease. Read the abstract for the publication, Agent Orange as a risk factor for high-grade prostate cancer. 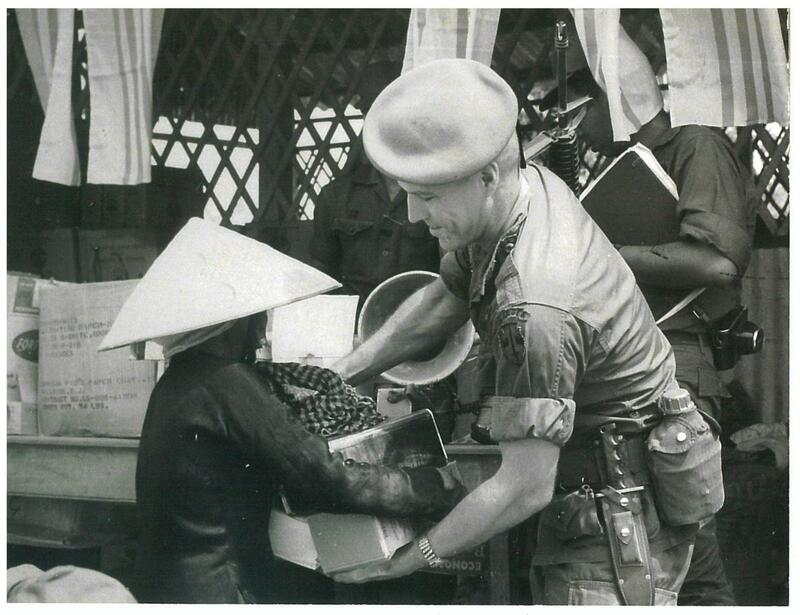 Following his return from Vietnam, Johnson was routinely checked to see if he was developing cancer or other diseases due to his exposure to Agent Orange. In April 2012, the Fredericksburg, Virginia, resident visited one of his local oncologists because of a rising prostate-specific antigen (PSA) level. After undergoing a biopsy, it was confirmed that Johnson had prostate cancer. When a patient’s PSA level rises above four, clinicians oftentimes suspect prostate cancer is to blame. According to the American Cancer Society, men with a PSA level between four and 10 have about a one- in-four chance of having prostate cancer. If the PSA is more than 10, the chances of having prostate cancer rise to over 50 percent. Johnson immediately underwent six weeks of radiation combined with hormonal therapy to attack his cancer. Once he finished his radiation treatment, Johnson’s PSA was barely detectable, allowing him to continue taking only the hormonal treatments. However, in July 2016 his PSA level began creeping up again and doctors believed the disease had metastasized. 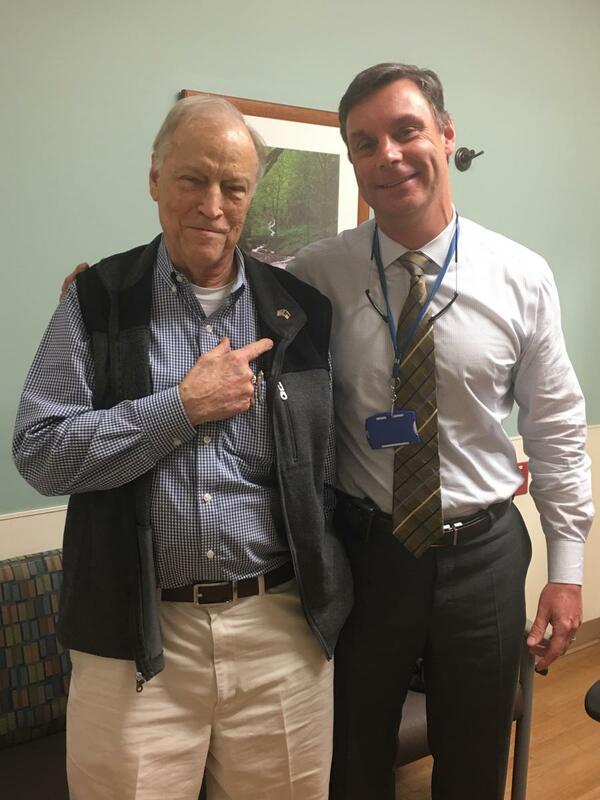 Shortly after contacting Daniel George, MD, a prostate cancer specialist at Duke Cancer Institute, Johnson had an appointment scheduled to review available options for his prostate cancer treatment. In July 2017, after undergoing scans, George confirmed that Johnson now had advanced prostate cancer that had metastasized to his lymph nodes and bones. Working with Johnson’s local oncologist, George scheduled hormonal treatments for his advanced disease closer to Johnson’s home in Virginia. In July 2018, his PSA plummeted to the lowest level since 2015. "Mr. Johnson sought treatment for advanced prostate cancer at Duke because he wanted access to experimental treatment," explained George. "Originally, I told him that his best treatment option was standard of care, and that he could receive that locally in Virginia. He agreed to begin with the standard of care option, but he also chose to remain a Duke patient and now travels here every few months to receive treatment. If his disease ever becomes resistant to his current treatments, we are ready with different options." Recently, his PSA has begun creeping up again and he has developed some increasing hip pain. He came back to Duke where his care team was ready with a new treatment option. Since starting his treatment at Duke Cancer Institute, Johnson has come to have a deep appreciation for the people of North Carolina, who he says are some of the kindest and most welcoming he has ever met. He enjoys recounting stories of random acts of kindness that he has experienced while spending time in Durham for his treatments. Giddy from the kindness he had just received, Johnson continued his drive to Durham. Once he arrived, he checked into his hotel before heading next door to get dinner at Pomodoro, an Italian-restaurant near the medical center. The kindness of North Carolinians continues to come Johnson’s way. During his last visit to Duke, he received the same hospitality at Pomodoro as the last visit to the restaurant.